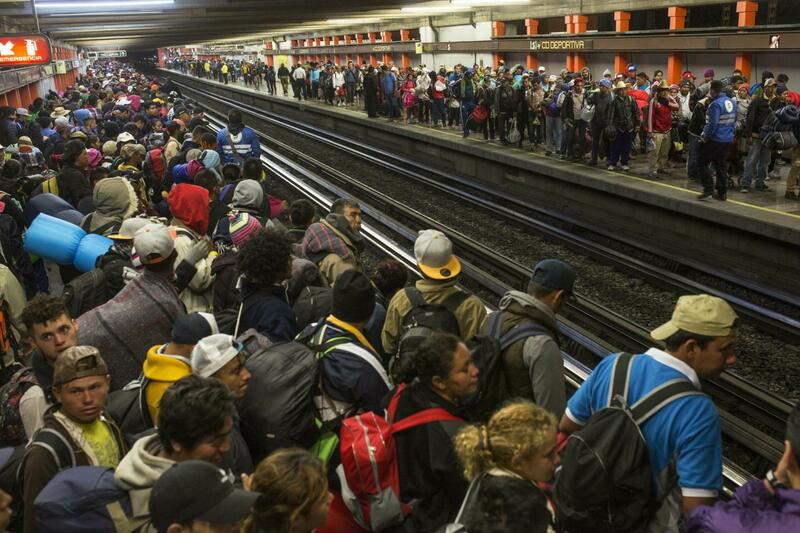 Over the course of the past two weeks, a migrant caravan from Latin America has swelled to an estimated 7,000 members with hopes of reaching the United States border. The group began in Honduras and traveled to Guatemala; they have since entered Mexico and are marching onward to Mexico City. The desired outcome for the majority of the migrants is to reach the U.S. border where they will claim asylum – that is, to seek protection from the U.S. in the form of residency because their home country is not safe to return to. As the group has grown in size, its media attention has grown as well, with notable politicians including Donald Trump and Beto O’Rourke chiming in on the issue. “As we speak, the Democratic Party is openly encouraging caravan after caravan of illegal aliens to violate our laws and break into our country,” Trump said at a rally last Wednesday in Wisconsin. He has threatened to send up to 1,000 American soldiers to defend the border from the caravan from entering the country as well as stating that they will not be granted asylum. However, many on the other side of the aisle will not buy what Trump is selling. Texas Senate candidate Beto O’Rourke deemed Trump’s comments a scare tactic to instill fear in voters before Midterm Elections. 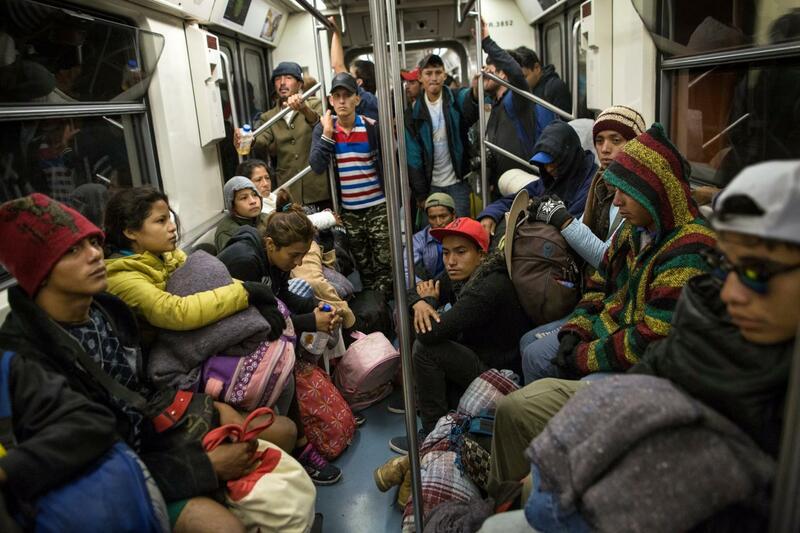 But, for the most part, liberal support of the migrant caravan has been all smoke and mirrors. If the true goal of the caravan is to reach the border and claim asylum, why could this not be done in their original countries? Tegucigalpa, Guatemala City, Mexico City – each are cities with U.S. embassies in the respective original countries. The same request for asylum can be made in these embassies as at the border. Furthermore, there is no claim for asylum in the Latin American countries because, for the most part, there will not be an attempt to do so when they reach the United States. Instead, they will attempt to cross the border illegally. 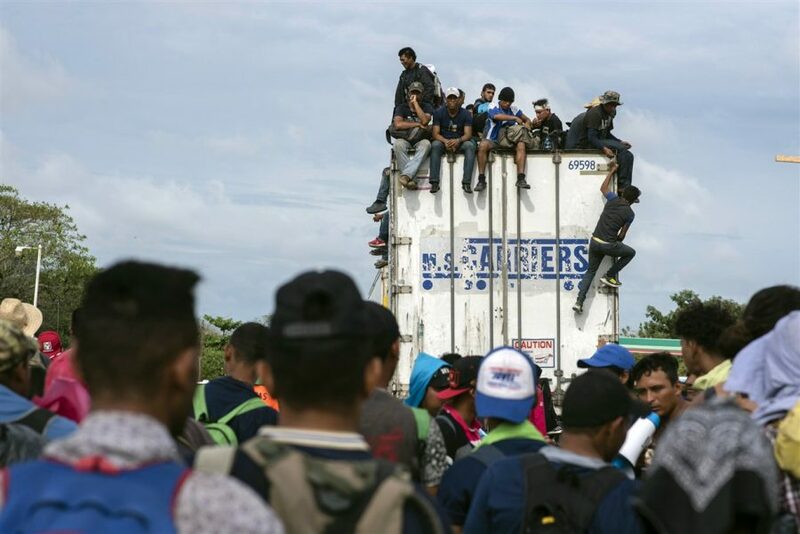 At this point, the caravan seems to be an attempt to skip the line of other hopeful immigrants – many of which live in Latin American countries under the same circumstances – that are attempting to endure the long process that is legal immigration. The appearance of the migrant caravan further exacerbates the need for new immigration and even foreign policy within our country. We have spent up to an estimated $100 million on foreign aid this year to Honduras, Guatemala, and Mexico, yet these countries are supporting a mass exodus of their citizens to our borders. Why is this aid given if the same governments are allowing the population to cross their own borders in an attempt to breach ours? There is a lack of responsibility maintained by the very Latin American governments that taxpayers help fund, and consequences must be felt. Over the last two months, the so-called “migrant caravan” has become major national news as Republicans and Democrats jostle once again over what it means to be an American citizen and who, if anyone, has the right to claim a better life for themselves in the United States. Whether one views this debate as a cynical ploy to help energize the Republican base before the midterm elections or a legitimate national security concern (and this author should note here that the latter is not remotely within the realm of possibility), there is no doubt that it has regrettably been rife with misconceptions, misrepresentations, and outright lies. Regardless of one’s political beliefs, it is important to acknowledge certain facts both about the caravan itself and also about the political forces driving the reaction against it. The current migration is not an invasion, there are no members of ISIS in its ranks, and any politician who says otherwise is being deliberately disingenuous. The “caravan” is a representative sample of some of the world’s poorest and most downtrodden people, cruelly wronged in their home countries and fleeing very clear instances of violence and imminent danger. One might disagree with their right to seek asylum in the United States, but one simply cannot fault them for their decision to do so. After all, what rational person would not do anything and everything in their power to escape poverty and violence? There are some who have suggested that perhaps the members of the caravan could apply for asylum at a United States embassy in their home countries, but the current administration would be just as likely to accept them as they would to voluntarily release the President’s tax returns. Furthermore, are we really expecting desperate people who may be facing death to acquiesce into a place at the back of a queue that is notoriously one of this country’s greatest headaches? There is yet another factor that one cannot discount: when we as Americans probe the true origins of the current border crisis, we are only pointing to ourselves. The systemic instability that plagues many parts of Central America is a direct result of decades of U.S. meddling in the region, from the horrors of drug-related crackdowns to the U.S. government’s long support of brutal dictatorial regimes and murderous rebel groups in El Salvador and Nicaragua. If we as a nation want to prevent future caravans, the United States needs to take concrete steps to lift the countries that spawn them out of poverty with economic aid. We cannot close both our borders and our pockets; we have to choose. Not only is the current hysteria deeply injurious to the United States’ world image, it is an outright disgrace to the ideals on which this country was founded. This columnist is not saying that the United States should open its borders to any and all comers; however, if it is the government’s intention to make legal immigration as difficult as possible–and the current system suggests, perhaps inadvertently, this very purpose–then it is almost inevitable that the number of illegal immigrants will remain static or or even increase. We as a nation need to dispense with the fatuous pap about the cultural disintegration of our Union at the hands of immigrants and let go of the race-baiting appeals to voters who have lost much more to outsourcing and automation than to helpless and desperate innocents. We should return, somehow, to the vision articulated concisely in years of legal and cultural precedent that being an American is about more than the color of one’s skin or the place of one’s origin. If we do not take these steps, there is the very real possibility that, in grasping so hysterically at the sanctity of U.S. citizenship, we will forever and irrevocably cheapen it and debase ourselves in the process.